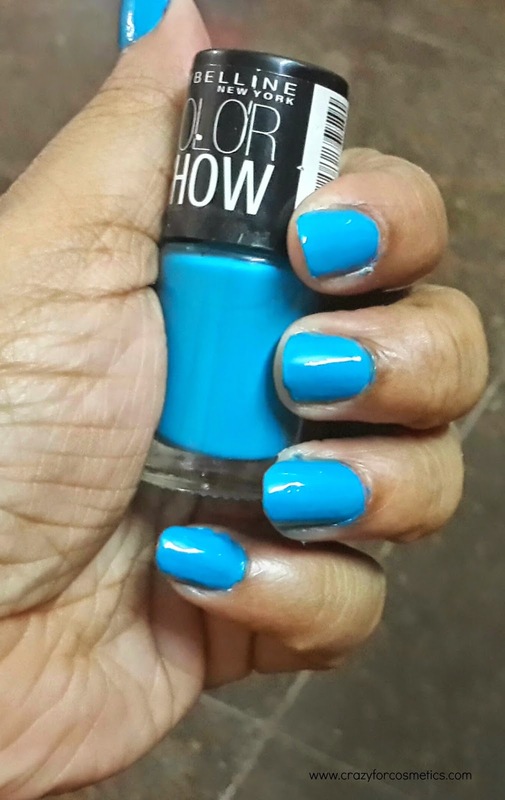 I wanted to try out this teal shade and laid my hands on it first among the rest of the shades. 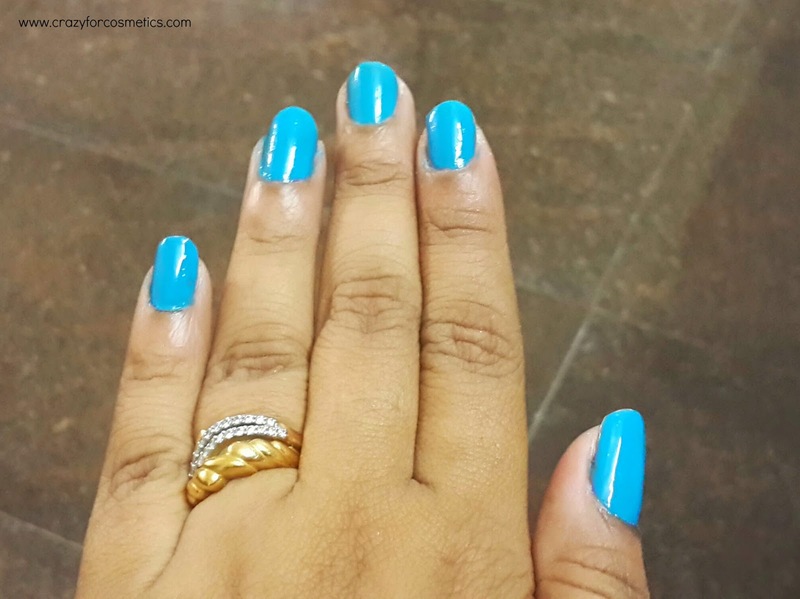 I loved the texture of the Maybelline Color Show Nail Paint in shade Shocking Seas. It is priced at INR 75 which is quite affordable. So here is the shad eon my nails. I am not a nail art expert either, so just a basic nail polish application.. I applied this last friday & it has stayed in tact till today, so I am quite happy with the staying power. I will be trying out the other shades too soon & will post all the NOTD.